An update for Android Wear was announced this morning by Google and will start to rollout to all watches over the “next few weeks.” The update will introduce expanded functionality to items like voice actions and gestures, but will also activate the speaker (for those with speakers) that has been hidden for months inside of select devices. Back in March of last year, Google first introduced gestures to Android Wear that allowed you to flip between cards without touching a thing. In this update, new gestures will allow you to pull down the settings shade, open the app menu, return to home, cancel actions before they complete, and perform other actions on cards. Details of these gestures were first revealed in November. As for new voice action support, Google is giving you more options for sending messages with your voice through apps like Hangouts, Nextplus, Telegram, Viber, WeChat, and WhatsApp. All you’ll need to say is, “OK, Google, send a Hangouts message to Kellen: Let’s get beer now.” and it’ll send that message to me through Hangouts. Finally, because some Android Wear watches were built with hidden speakers in them that you didn’t know about, this update makes those active. With an active speaker, you get the power to make and take calls from your watch when connected over to Bluetooth to your phone, plus you can listen to audio/video messages. The current watches on the market with speakers are the Huawei Watch and ASUS ZenWatch 2. 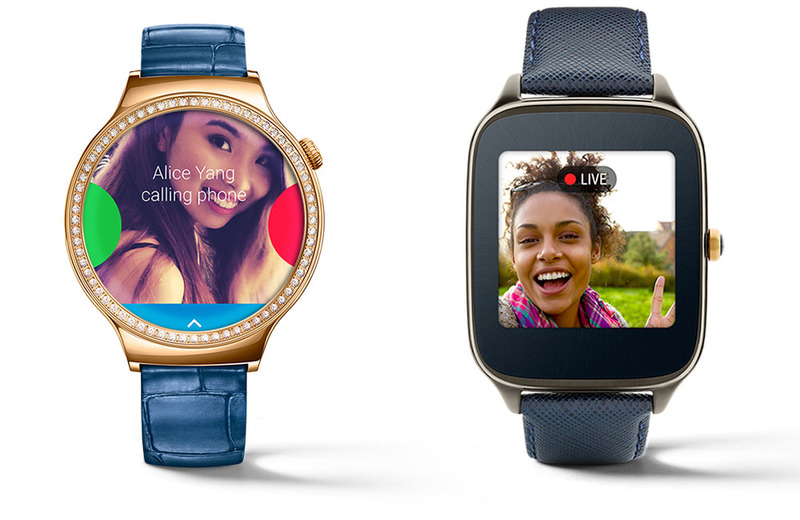 Again, the update should hit all Android Wear devices within the next few weeks.